The Golden Ratio examines the presence of this divine number in art and architecture throughout history, as well as its ubiquity among plants, animals, and even the cosmos. This gorgeous book-with layflat dimensions that closely approximate the golden ratio-features clear, enlightening, and entertaining commentary alongside stunning full-color illustrations by Venezuelan artist and architect Rafael Araujo. From the pyramids of Giza, to quasicrystals, to the proportions of the human face, the golden ratio has an infinite capacity to generate shapes with exquisite properties. This book invites you to take a new look at this timeless topic, with a compilation of research and information worthy of a text book, accompanied by over 200 beautiful color illustrations that transform this into the ultimate coffee table book. Author Gary Meisner shares the results of his twenty-year investigation and collaboration with thousands of people across the globe in dozens of professions and walks of life. The evidence will close the gaps of understanding related to many claims of the golden ratio's appearances and applications, and present new findings to take our knowledge further yet. Whoever you are, and whatever you may know about this topic, you'll find something new, interesting, and informative in this book, and may find yourself challenged to see, apply, and share this unique number of mathematics and science in new ways. Gary B. Meisner is the creator of www.goldennumber.net, a popular website dedicated to the mathematics, prevalence, and design applications of the golden ratio. In 2004, he led the development of his PhiMatrix Golden Ratio Design and Analysis software, which is used by thousands of artists, architects, designers, and photographers in over seventy countries, as well as in cosmetic medical and stock market analysis applications. After earning accounting and MBA degrees from two top business schools, he spent most of his career in CFO/CIO roles with operating units of five Fortune 1000 public companies. Gary is now a self-employed technology/systems consultant conducting ongoing research and collaboration on the golden ratio, and his work has been featured in Da Vinci The Exhibition at the Venetian Hotel in Las Vegas. Providing an online community in which new findings can be shared and discussed, he helps others to appreciate the incredible beauty and design in the world around us and to applying these same principles of design to their own creative works. Rafael Araujo is an architect and illustrator from Caracas, Venezuela, who has been hand drawing beautiful illustrations of nature for more than forty years. By applying the Golden Ratio in his geometric formulas, Araujo brings the natural mathematical framework of nature's beautiful designs to life. Araujo's work has been featured in publications like Wired Magazine, and exhibited at Stanford University and many other prestigious galleries. I had heard of the Golden Ratio, but didn't really know much about it before reading this illustrative coffee table book. I'm not a mathematician and some of it is over my head, but I found it intriguing and look forward to finding where it occurs in my daily life. It is especially interesting to see the examples of it being used in ancient architecture and contrasting that with the modern design of an Aston Martin DB9! Also, found the section about beauty and The Golden Ratio captivating. It's interesting that the human brain perceives beauty as closely following the ratio. I enjoyed the "The Golden Ratio" and all the interesting research and illustrations the author has compiled. It's also a very nice hardcover book at a reasonable price that looks great sitting on a coffee table. It is definitely a conversation starter! I personally have a strong interest in the Golden Ratio and Fibonacci sequence, originating with my degree in engineering and a core curriculum in liberal arts. More recently, I have taken a keen interest in Fibonacci applications in technical trading. I was originally drawn to this particular book by the artwork of Rafael Araujo, which is featured on the cover and throughout, as well as the work of Gary Meisner, whose public research available on his website I consider to be the benchmark for interest on the subject. The Golden Ratio greatly exceeded my expectations. The pictures and imagery used throughout the book are simply magnificent; absolutely stunning in areas. This book is both text book and coffee table book; the production is of the highest quality. It is comprehensive and well-written, yet not so difficult as to be rendered inaccessible to the ordinary reader. For the price, this book is an absolutely tremendous value and far and away my favorite new addition on the subject. 5.0 颗星，最多 5 颗星FINALLY! A REAL EXPLANATION OF PHI - and what it's impact on our lives is!!! IF you are just curious about how nature, art and architecture (ancient and modern), graphics, balance and so much of the world around us, and how our psyches are influenced by this number/ratio/natural phenom then for gosh sakes spend the paltry sum to get this book! I would really expect such a finely illustrated, well written tome like this to be $75. - so get it before the author and publisher realize their mistake. The explanations are light enough for even a non-mathmatician to understand - (yes, you can skip the few equations and still get a very thorough understanding of the subject). If you're a math teacher - say at middle-school level and above - DO get this book, and DO teach this to your students! Hey, artists and architects learned this concept 500+ years ago! Art, architecture and engineering teachers - your students need this book and the subject it teaches! I am just floored about how good this book is on this subject, and how really beautiful it is. 5.0 颗星，最多 5 颗星Beautiful Book! 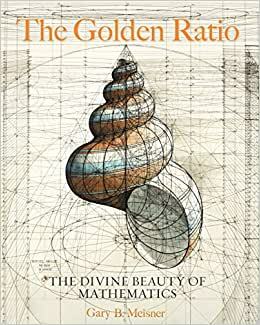 This is a lovely book which explains and examines the Golden Ratio/Divine Proportion using clear and engaging text accompanied by a kaleidoscopic array of beautiful imagery from the worlds of art, architecture, and nature. 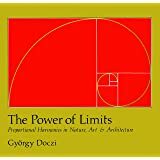 This book is sure to be appreciated by anyone who loves math, design, or classical art, as well as by those who are merely curious about the title topic. I am one who was merely curious. I haven't studied any math since high school (eons past), but I was able to grasp (with a bit of concentration) the very basic of the mathematical concepts presented in this book. I was actually quite pleased with myself when I encountered and even remembered the Pythagorean Theorem on page 27! While most of the mathematics in the book was over my head, I nevertheless found much to like in its pages. For example, nearly 100 pages are devoted to a presentation of the appearance of the Divine Proportion in art and architecture. I thoroughly enjoyed looking at the masterworks of DaVinci, Michelango, Botticelli, and more, and seeing evidence of the Golden Ratio in these famous art pieces. I was especially drawn to a section of the book which focuses on the design and construction of the great cathedrals of Europe. Photographs (with PhiMatrix overlays) of the rose windows at Notre Dame and Chartes are impressive and, of course, very beautiful. The last part of the book takes a look at the appearance of the Divine Proportion in the natural world. Again, I am not a mathematician, but I had fun counting the plant spirals on photographs of pine cone bases, and looking for the "beauty of fives" in pictures of flowers and fruits. Overall, I enjoyed spending time in the pages of this book. It has something for everyone. And, it looks pretty impressive on my coffee table; if I were hunting a mate, I might impress a super successful STEM dude—or perhaps an artsy guy--with this book! I knew Gary in a previous life as a tireless number cruncher, spreadsheet guru and meticulous CFO. When I received my copy of The Golden Ratio I was so impressed by his ability to combine his known financial talents and insights of numbers with a flair for visual appeal. This is a book that draws you in with the beautifully illustrated pages and is one that you will be proud to display on your coffee table and to have in your library. Fusion genius. Well done!